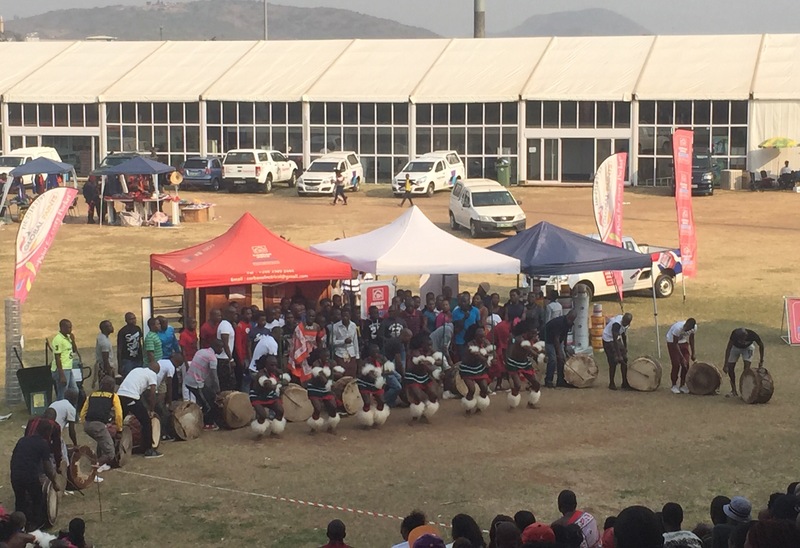 On Monday I attended Swaziland’s trade fair so that I could purchase a new internet package. I have so much more data now! While I was there, a sibhaca competition was in progress. This is the male version of Swaziland’s kicking dance. The males kick together, which I think makes it more impressive than the female equivalent ingadla, where females take turns kicking. These were adult competitors, which also made for an exciting event. They have much more skill than the children who participate in grade school. This entry was posted in Africa, Peace Corps, Swaziland, Wednesday photo and tagged Africa, PCV, Peace Corps, Peace Corps Volunteer, Swaziland, Tradition. Bookmark the permalink.